A Sweet Time At Pietree Orchard! Maine Maple Sunday is coming to Pietree Orchard this Sunday, March 22, 2015 from 9am-3pm. Visitors will enjoy sweet treats, live local folk music from 11am-2pm, and meet some of our crew at Pietree’s farmstand at 803 Waterford Road in Sweden, Maine. The farmstand is open from 9am-3pm and is packed with sweet deals and sweet treats. Samples of our syrup will be available all day! Enjoy free ice-cream or fresh sliced apples topped with maple syrup! Come take advantage of all the sweet deals on baked goods, specialty foods, locally made gifts, and syrup of course! 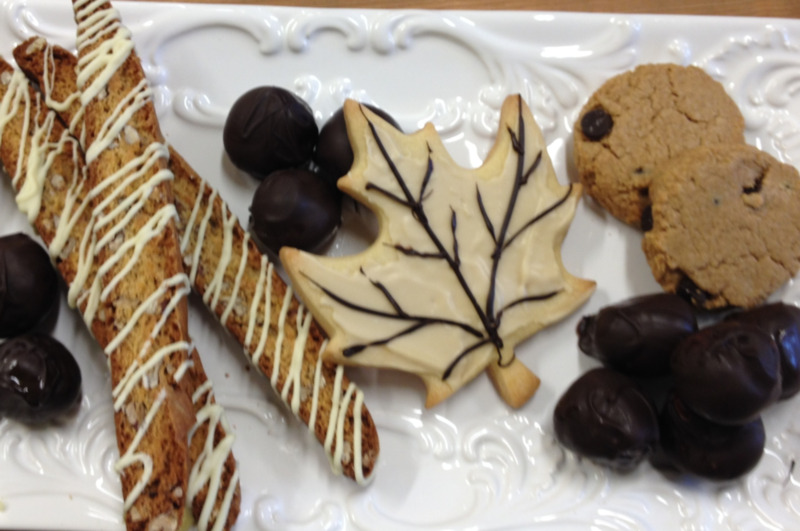 Some of the treats you may find this Maine Maple Sunday! Take the opportunity to tour the orchard at 10am and 2pm. Tours will be led by Farm Manager Dan Cousins and Orchardist Scott Miller. This is a great opportunity to see the orchard in the early Spring and learn about all we do here at Pietree. We advise wearing warm clothing, sturdy foot wear and snowshoes or crampons. One Reason To Take Advantage Of The Tour... The Views! Some of our sugar crew will available to talk all things maple with you! Learn about how we tap our trees and boil our sap at our outdoor demo area. Pictures of the sugarhouse will be on display at the orchard, because the sugar bush itself is so far off the beaten path visitors cannot be accommodated. “We want Maine Maple Sunday to be accessible to everyone, so we moved our event up to the farm, where my wheelchair can get around and so can others with mobility assistive devices,” observes Pietree Business Monkey, Naomi King. Come celebrate this Maine Maple Sunday at Pietree Orchard. Enjoy sweet treats and the sweet tunes of local musician John Tercyack. Meet some of our sugaring crew and have a chance to discuss sugaring at Pietree over educational displays at our farmstand in Sweden on Maine Maple Sunday, March 22 from 9am-3pm.